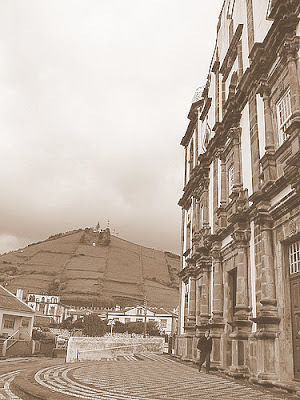 Santa Cruz das Flores is the largest villa in the Flores Island of the Azores and has a population of about 2,500. It is located in the eastern coast of Flores, which is an island in the western part of the Azores. The one airport in Flores is located in Santa Cruz, making the villa a base for tourists visiting Flores. Santa Cruz features a number of renaissance buildings that symbolize the former prosperity of the villa. The most iconic of the churches is the Saint Bonaventure Church, which is a 17th century monastery in the baroque style that reveals influences of Mexican-Spanish; this church also has a magnificent altar. Another notable church building is the Nossa Senhora da Conceição, which is a 19th century building with an elegant façade. Other attractions include the Ethnographic Museum, which has a collection of religious articles as well as secular items that depict the way of life of islanders, past and present. Some important items in the collection include a 16th century Flemish, religious image of the Virgin and Child and some artistic and religious gold objects. There are a number of islets off the villa of Santa Cruz and north of it, including Algoa, Baixa do Moinho, Baixa Vermelha, Illhéu das Poças, Alvaro Rodrigues, and Abroes, the latter islet is crossed curiously by a grotto. These islets can be visited while boating off the shores of Santa Cruz. Pico da Sé is a mountain peak close by Santa Cruz that can be climbed and trekked. The mountain is surrounded by a vast natural forest reserve, home to rich flora and fauna and spectacular views of the rest of the island. There is also an impressive Forest Reserve and Recreational area in Fazenda, Santa Cruz. A great beach area is located nearby at Porto Velho as well, where you can do some swimming, boating, scuba diving, surfing, and sailing. 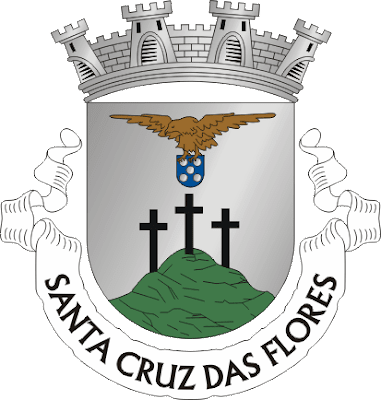 Santa Cruz das Flores also plays host to some major island festivals every year. These events are lively celebrations involving entire villages and feature some of the traditional songs and dances of the islanders such as the Sapateia, Rema, Tirana, Manjericão,Ciranda, Chamarrita Encaracolada, Pazinho de Baixo and others. In particular, the Sanjoaninas Festival in the last week of June attracts many visitors from the other islands as well as from Portugal. Another notable festival is the two-day Santa Cruz festival in the first week of August. It is one of the most celebrated festivals in the Azores and the largest Azorean festival celebrating the Holy Ghost; the crowns from the 27 Holy Ghost shrines are located in Santa Cruz. During the Santa Cruz festival, the entire village of Santa Cruz with its streets, arches, and buildings is decorated with many colorful flowers, including the blue and pink hydrangeas for which Flores is famous.